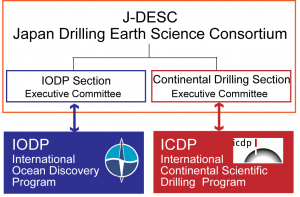 The Japan Drilling Earth Science Consortium (J-DESC) was founded in 2003 by universities and research institutions in Japan to advance drilling science and to cooporate among scientists. 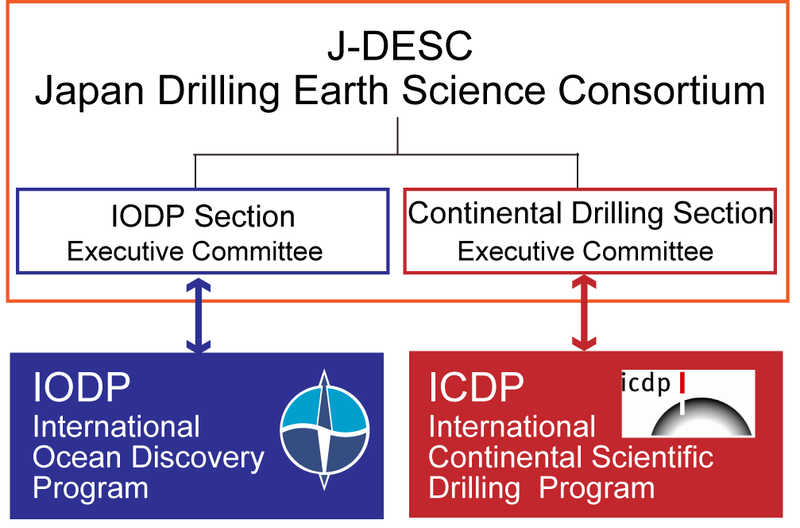 J-DESC is consisted of the IODP Section which supports an international ocean drilling scientific research program, the Internatnal Ocean Discovery Program (IODP), and the Continental Drilling Section which supports an international continental drilling scientific research program, the International Continental Scientific Drilling Program (ICDP). Main roles of J-DESC include as follows. Support on continental and lake drilling projects of the International Continental Scientific Drilling Program (ICDP). Human activities,especially through utilization of resources of the Earth’s crust are having significant impacts on the global environment. Furthermore,with the increasing global population and the increasing trend to urbanization,notably in coastal areas,there is also greatly increased risk to life and property from earthquake and volcanic activity as well as from other natural hazards and climate change. Knowledge of the composition,structure and evolution of the Earth’s crust and of processes which continue to modify it,is,therefore,becoming increasingly important for the wise management of the Earth’s resources and environment,consistent with the principles of sustainable development. There are currently 67 J-DESC Members in Japan as of May 2014, including universities, research institutions and private companies. Please refer to the most updated list of members.